Did you know there is a Yahoo Group for J D Wetherspoon supporters? Well there is and pretty informative it can be sometimes. You get the usual and well known issues of being unable to be served, tables not being cleared and the chips being cold, but one thing seems to be dominating at the moment. Prices. JDW seems to have applied a 6p a pint increase in most places, while in others, they seem to have applied more. One irate correspondent says that they now charge £2.89 a pint in a new pub in Whitby, which astutely was observed to be " a bit dear for Wetherspoons quality and service." Quite. And of course in London there are two other sets of prices, an "Inside the M25" one and a "City of London" one, both of which are considerably more ouchy price wise. And airport venues are even more. Now most of my readers won't care about this, but it is interesting in the sense that it send s a message that beer is becoming more costly, even at the budget end of the market. It also says something about the pressures within the industry. Of course, like many of you I'm sure, while I do go into JDWs reasonably frequently, I'm not that worried about their prices, but I'm not their core audience. People like those on the Yahoo Group are, and they are sending a clear message of disgruntlement. Timbo Martin would do well not to alienate them and comments such as "Don't treat your loyal customers as fools!" should not be ignored. 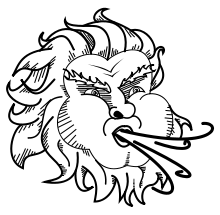 The denizens of the Yahoo Group, oddly refer to individual pubs as "branches". Hmm. As this winter drags on and on, one place of solace ought to be the pub. Excellent beer, a cheery welcome and a warm fug of heat as you enter, makes the winter blues dissipate somewhat does it not? One problem I have found recently though in that otherwise cheerful picture I've drawn, is that far too many pubs are at the moment, not to put too fine a point on it, bloody freezing. On Saturday, our trip to Magic Rock having taken the knock due to appalling weather, a brave band of us went for a few pints in Manchester. It wasn't all plain sailing. On one of the coldest days of the year, it wouldn't be unfair to say that two well known pubs in the Northern Quarter, both in the Rochdale Road area, were as cold as a sheep on Arran. Times is hard I know and fuel bloody expensive, but you don't go to the pub as an endurance test. A small coal fire in one room will not heat a large pub on a very cold day. This really is a case of speculating to accumulate, because customers will simply not sit about drinking beer when the temperature inside would make a yak shiver. Put another couple of pennies on a pint - I don't care - but heat the pub up please. It has to be said that the three, shall we say, less traditional pubs we visited, were lovely and warm. Even if the beer was icy. One of the things we do locally in CAMRA, when not imposing fantasy rules on what people should or shouldn't drink (we are pro choice Folks, remember that) is to have an active social side, with various tantalising trips out to this or that town, renowned for the quality of its watering holes. Sometimes even, we visit a brewery to see if we can organise a piss up in one. 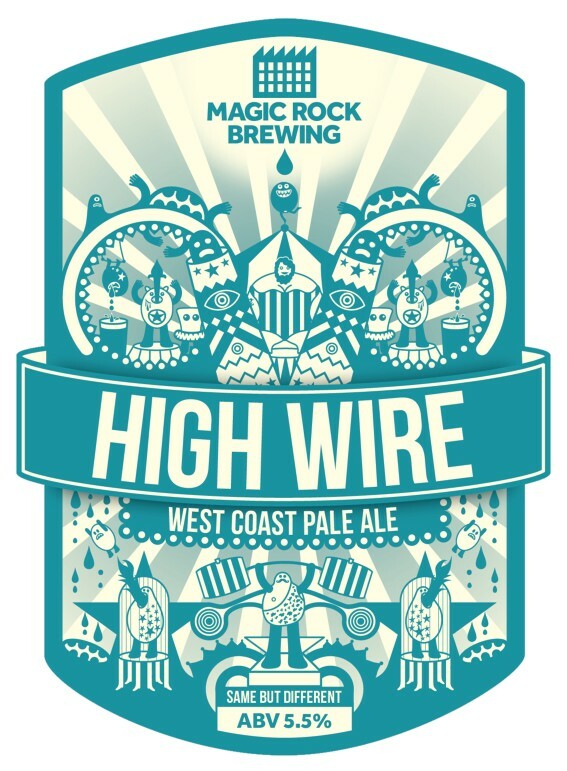 Such an event happens tomorrow when we visit (snow permitting) Magic Rock. I am expecting that along with cask beer, we'll be offered some keg. Do I care about that? No, of course not and hopefully my colleagues won't either. Of course we believe in cask beer and always will do, but you know, sometimes it is good to get outside your comfort zone. 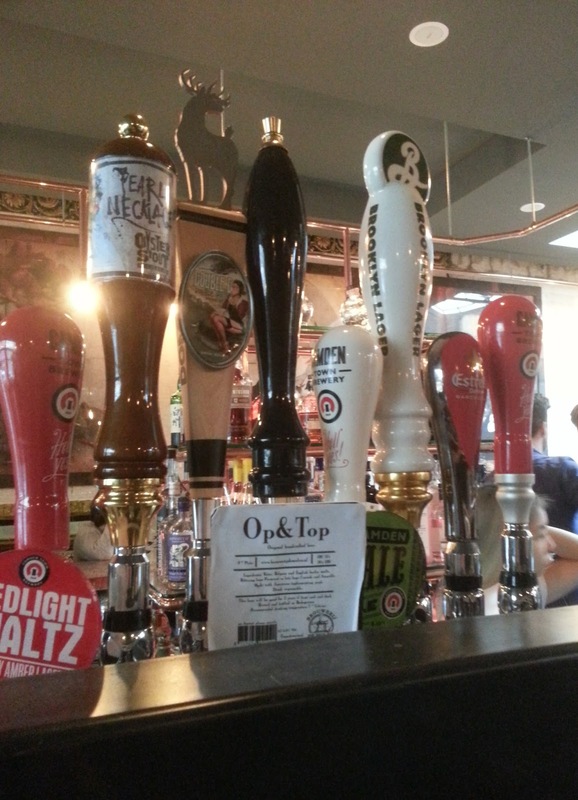 Of course, keg is sipping beer and cask supping beer. That's a given. An easy little aide memoire, brought to you by this blog, as a public service. * I'm told we'll get to taste their new lager. Yum yum. I like lager. My London reports have been a resounding success, with an enormous number of comments, for which I am grateful. Well not exactly, though readership of the articles has been high. More comments please. Really they are the life blood of blogs. Not numbers, but opinions. Still, I'll plough on, this time returning to pubs and three and a half bits of really good news. Well news to me at the time anyway. Where was I? 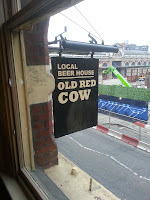 Oh yes, at the closed Tower Hill tube station, but undaunted, we nipped up the Minories and hopped on a tube at Aldgate, destination, the Old Red Cow of which I'd heard good things. Heard from Tyson that is. It is a neat little pub, just outside a gigantic hole which is part of Crossrail and just along from Smithfield Meat Market. Two bars here, the downstairs one with handpumps and some keg and the upstairs one with a keg only bar, but possibly with a touch more room. Beer choice was good, with a very knowledgeable and chatty barmaid downstairs and the more usual, tactiturn beardy manning the CO2 upstairs. Why are these beardies always so bloody dour? I am going to make a study of this. I would tell you all about the beer, but that's boring, except to say it closely resembled the Dean Swift in its foreign range and unlike the Dean Swift, is sparkled as God intended. Well my pint of something black and tasty was. It was at the correct temperature too. Upstairs, we bumped into Tyson and Eddie, still on the prowl and giving up, we threw our lot in with them for the duration. We certainly couldn't beat them, so we joined them. I liked the Old Red Cow enormously. A lovely little boozer with good beer, all served properly. 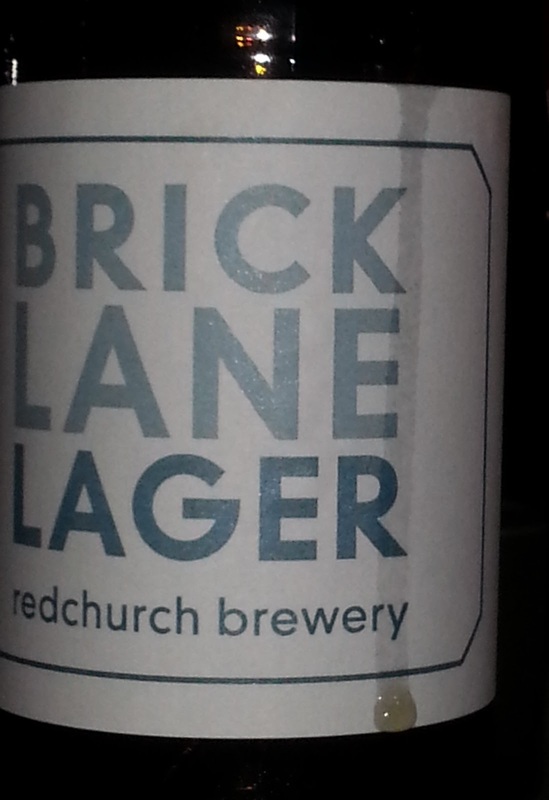 Only black mark was the ludicrously overpriced Brick Lane Lager at £5.10 a 33cl bottle. Nearly £10 a pint for a locally brewed beer. Taking the piss. Nonetheless I'll be back, made all the more likely by our next port of call, the Fox and Anchor, a couple of hundred yards away. The Fox and Anchor is a long, elegant, dark wooded, feast of Victorian pub architectural splendour. It reminded me of the Beehive in Liverpool before some arseholes (Punch Taverns) ruined that. Lots of trendy snacks were on offer, good looking meals and a decent range of beer in top condition too. I enjoyed (again) Citra from Caveman. It was very busy indeed and we were all impressed and again, combining it with the Old Red Cow, we'll be back. Me when it is quieter for a proper look round. Next up, a decent walk away was Exmouth Market and the luscious looking Exmouth Arms, which I haven't been in for years. It has been opened out, is all bare boards and is very dark inside, but somehow cosy and pleasant. Or was that just because the drink was getting to me? I don't know. It might be as I have no recollection of the cask beers at all. 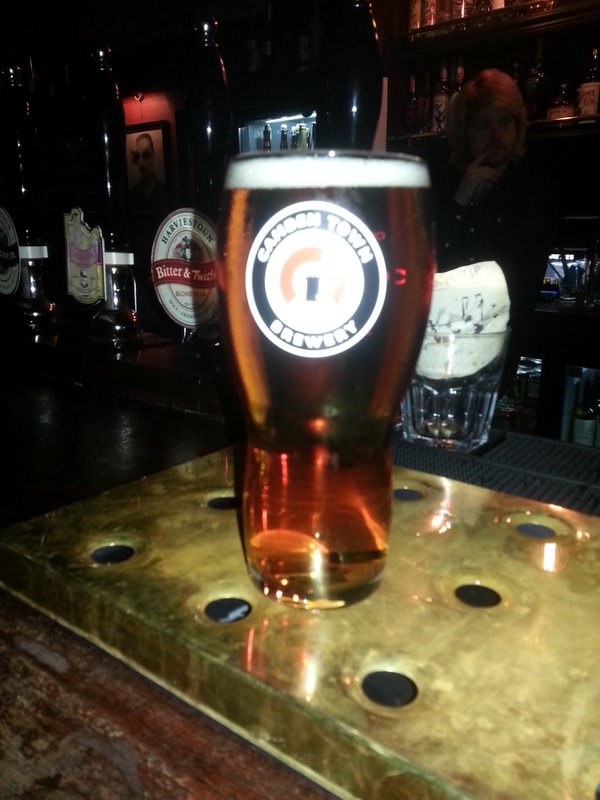 My drink of choice was kegged Camden Pale, served in the proper glass and rather good. Again, we'll be back. All good things must come to an end though. Eddie and Tyson were looking at their watches anxiously. Of course that merely meant we had time for one more pub. Again one I'd heard of, but this time, one I haven't been in. The Pakenham Arms, right by Mount Pleasant Sorting Office, has large picture windows and a sort of gentleman's club atmosphere. Again very likeable, but the veritable forest of handpumps (was it 16?) had only three or four on. There is also a small selection of craft beer in bottles. The beer was good though and again, I'll be back, as the pub itself is very attractive. Have a look at their website to see what I mean. With the addition of the Well and Bucket, I have, in one weekend, found (or rediscovered) five pubs I'm keen to go back to because they are good places and importantly have good cask beer being looked after properly. London certainly is picking up a bit. It is particularly gratifying that some pubs at least have installed (or are starting to use) cellar cooling. Summer though is a big test for London. I'll let you know. Another day in that there London and another new brewery. Another within walking distance too. Now I hadn't been to the new Kernal, but planned to change that, combining it with a trip to a new (but related) brewery, Partizan. 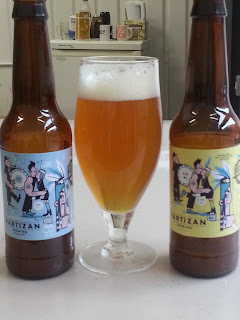 We weren't sure which order to take them in, but decided on Partizan first, as it was furthest, about two and a half miles away, over Tower Bridge and through some high rise estates. A pleasant enough walk. In the inevitable railway arch, we found the brewery, a neat little affair, with a simple serving counter for the bottled beers offered. We also encountered a surprise in the shape of Tyson the Beerhound and his partner in crime, Eddie, the eager, legal, beagle, who had set off at sparrowfart from Manchester with a similar quarry in mind. Greetings were exchanged, along the lines of "Bloody Hell it's a small world" etc etc. but there was beer to be tried. We plunged in with the simple expedient of ordering the first two on the list. An Amarillo/Pacific Pale Ale for me and a Wakatu Pale for E. No tasting notes I'm afraid. There might have been, but when you have friends to talk to such things must fall. Both were very well made and delicious, though we both marginally preferred the Amarillo version. I also had a chat with Andy, the brewer, who seemed a splendid chap. He told me that he was sticking to his knitting by and large. He only really has space for bottling, so that's what he'll stay with for the time being at least, though he doesn't rule out the odd special occasion cask or keg. Next beer was Citra/Amarillo IPA. Another belter with the 6.9% alcohol, cunningly hidden hehind decent malt and layers of lovely hops. A belter. By this time Tyson and Eddie were getting itchy feet and headed back to my manor and the Dean Swift, but another Northern replacement was immediately forthcoming in the shape of Thornbridge Dom and his girlfriend Janine. Now Dom is one of the good guys and Janine, delightful, so a cheery hour ensued in which two different saisons were tried (I preferred the Galaxy, but both were good) and various sips and tastes. It was a very pleasant interlude, reminding if reminder be needed, that beer people are blessed among men (and women) and which caused us to ditch Kernal for another time. Neither of us fancied the walk back, so a bus was taken, which gave me my first tour of the Isle of Dogs, but eventually dropped us at the Southwark end of Tower Bridge again, where after a sneaky pee in the Pommeller's Rest JDW and a trot across the bridge, we found Tower Hill station closed. Station? Yes. We had the beery bit between our teeth by then, more of which soon. Aren't the Partizan labels, which can be viewed here, along with details of the brewery) delightful? Another day in London, another new experience planned. Love it. In a persistent drizzle I set off from the flat and headed for Brick Lane. Now one thing about Brick Lane is that fifteen years ago, the place boasted many little Asian caffs. OK, they didn't do rice and three like the Manchester ones, but I liked them. Cheap and cheerful and home cooking - what's not to like?. Gradually these were replaced by more glamorous ones and a load of pests trying to persuade you to come in and eat. Now things are swinging back. More little caffs have re-appeared and the number of shiny restaurants has diminished though the pests remain. All well and good. But man does not live by curry fantasies alone, so I plodded on to Bethnall Green Rd, turned right and crossing the road, a few yards along, is the re-opened Well and Bucket; broad in the front with huge picture windows. Promising. Inside is a big square. Clearly this place has been opened out from its previous existence, but damaged tiled walls speak of a previous grandeur, while the island bar - I do love an island bar - gleams. 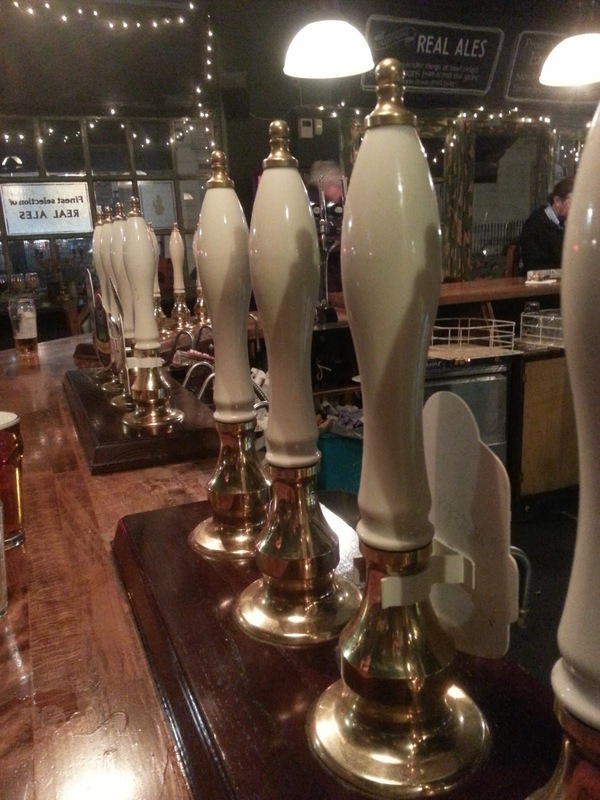 The first thing you see when you walk in is a bank of handpumps, which is as it should be. Handpumps make a pub look like a pub. The craft beer type should not worry though, as on one side is two arrays of fonts dedicated to the craft keg, with a well chosen range. Seating is a good mix of church pew type stuff, large wooden tables, stools at the bar and great floorboards. Beer lists with prices are on every table and at the bar. It was immediately likeable. I wasn't there for the décor though, A pint of Citra from Caveman in Kent was ordered. I made an immediate blunder and ended up with a dreaded dimple mug, but that's what you get when looking round and not paying attention. The place was empty, but passed the Tandleman test with colours if not flying, at least fluttering strongly. The beer was at the correct temperature and was well conditioned. Bingo. I deduct points for the dodgy glass and for the fact that the barmaid had never heard of a a sparkler, never mind had one to enhance my brew, but a straight glass was produced on request for my second pint, so no real issue there. Reluctantly I left as I had a grim mission to undertake. A visit to BrewDog Shoreditch, a mere 100 yards away. I say grim because I loved Mason and Taylor who occupied the spot before, with its friendly staff and good cask beer. BD has moved the bar to the window space, but this is a dark pub at the best of times and I didn't think the low ceilings, lack of light, grey walls, grey bar and grey BD fonts did much for it. It was all kind of gloomy. A cheery Weegie was behind the bar though and I ordered a half of Punk, which was ordinary in the extreme and a taste of Amarillo, which had promise. The place was nearly empty and there was nothing more I wanted to drink, so I drank up and left. But I have been and it was better before. In my opinion of course. Prices, for those interested in such a thing, were frightening. Shaking off the gloom was needed, so I headed to the Carpenter's Arms which I've written about before. I quite like it here, though the remarkable taciturnity of the staff (in a pretty empty pub) may be off putting to some. A new beer was on the bar. I ordered it. 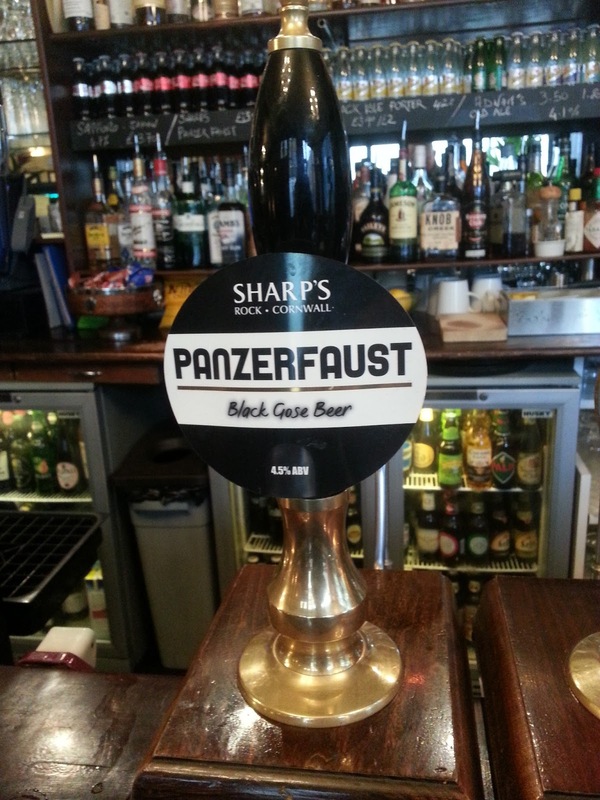 A pint of Sharp's Panzerfaust, described as a "Black Gose Beer". This is a collaboration with Beer Writer Adrian Tierney-Jones, who amongst other florid guff, describes it as "a very elegant black IPA". I describe it more as a porter, but what's in a name? It was decent, in good nick and I enjoyed it. Heading home, I called in to the Pride of Spitalfields, which I've been going to, off and on, for 15 years. It was busy and I immediately was engaged in conversation (about railways no less) by a couple of very nice old gents. This is a pub as some may remember them - friendly, unchanged, unpretentious and bursting with life and character. The Crouch Vale Brewer's Gold wasn't bad either. On Sunday I took E to The Well and Bucket. It was jumping, the beer was good, the food looked great (I fancy the oysters and the sliders looked good too) and it had a representative mix of people in. We even had a nice chat with a lady who remembered it in its original incarnation having lived across the road and she described it to us, which was nice. E loved it. We'll be back again. And again I imagine. Someone did tweet me about the hopelessness of the staff. OK they seemed pretty keen on hugging and cuddling each other, but they served quickly enough and were cheerful. That's a good start. 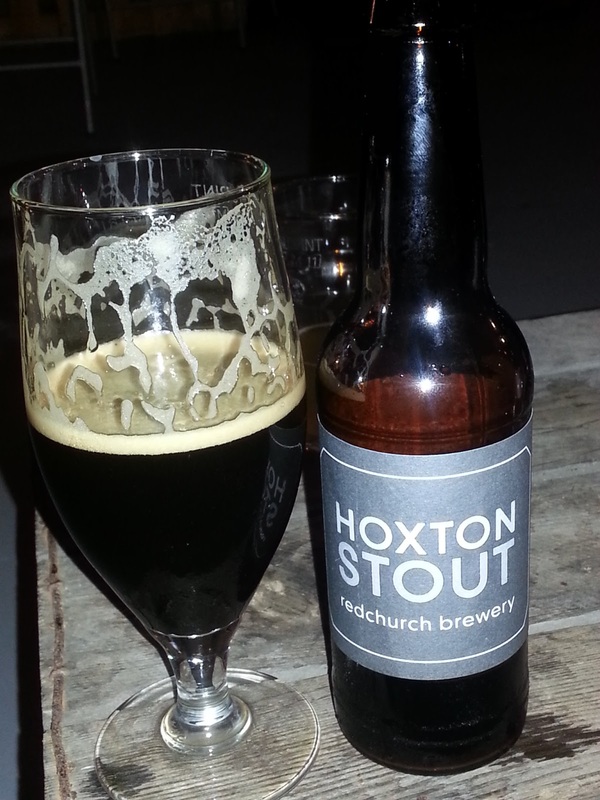 It seems that a fair chunk of London's new wave of brewing is concentrated in the east of the city. This is handy as when I am there, that's where I'm concentrated too. So, after a fairly civilised session at the London Drinker Beer Festival, it was time to up the octane trendiness wise. Unfortunately, there wasn't time to grow a neatly trimmed, but astonishingly bushy beard, but compromising by way of our tightest fitting clothes, we headed off up to and across Commercial Road, on to Whitechapel Road, then just before it becomes Mile End Road, left into Cambridge Heath Road, passing on the way, many interesting looking pubs of shall we say, a basic nature and a little portion of what appeared to be a market in Bangladesh after a typhoon. Nobody paid us the least bit of attention. It wasn't hard to find our destination thanks to Google and after a shimmy under a railway bridge, a sharp right and we were there. Redchurch Brewery is in a a set of railway arches, so typical of London micro brewers. The bar is upstairs and only open on a Thursday night, hence my determination to get there. Showing what a small world the world of beer geekery is, I bumped into Mark of Beer, Birra. Bier on my way upstairs. He was busy brewing on a small pilot kit with his home brewing pals. Upstairs in the bar was Rich of Beercast, though that was less of a co-incidence as he'd told me earlier he'd be there. Seems he thought he'd be gone by then, but had been gripped by the demon drink (or was it the attractive lass he was talking to?) and was still giving it laldy. The space is a modern, open one, with a small bar in a corner at one end, a few easy chairs, high tables and the like dotted about and a lot of thin beardy men. 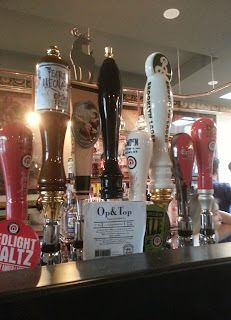 Beer is keg and dispensed American style from taps in the wall, supplemented by bottles. I decided to start with Shoreditch Blonde on draught, which I didn't like much, though according to the barman, is their biggest seller. It was astonishingly highly carbonated, with a sherbet lemon nose, palate numbing cloves, though hoppy and bitter enough. E was luckier with Bethnall Green Pale. This had good pine resins, clean and bitter hoppiness throughout, but the body was made rather thin by excess carbonation. As we sipped, we looked round at the gathered throng (not a big throng, but perfectly formed) and noted the high hipster content, including one bearded gent who, rather like a none too subtle shoplifter, had a (very well behaved) baby tucked up his jumper. He cooed to it from time to time, while his lass chatted to her mates. That was nice. Things looked up with Brick Lane Lager in bottle. This was the business though. Loads of C hops, a decent body and that elusive drinkability, was just what was required. 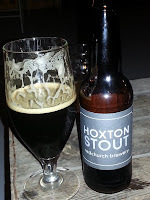 I finished with an impeccably good porter on draft, which was smooth, liquoricey and contained more resinous C hops and a hefty swipe of alcohol and an equally good Hoxton Stout, which certainly hit the spot body and hop wise. They were very good indeed and I recommend them highly. So all in all, I reckon these guys are on the right tracks. It was well worth a visit, so why not make the journey? Beers were (I think) £3 a bottle and around £2.50 a half. The bus was our preferred journey home, straight to Aldgate, but of course after that sipping I fancied something to actually drink, so we called into our favourite local. The barman called us both by our names despite not seeing us for several months, there was a sing song to Delilah (and many subsequent songs) on the go with the jukebox in full swing. There was much merriment and a lock in. You probably don't get that kind of malarkey in Hipsterville, but room for both I'll happily say. More on the smallness of the geeky world in a subsequent post. 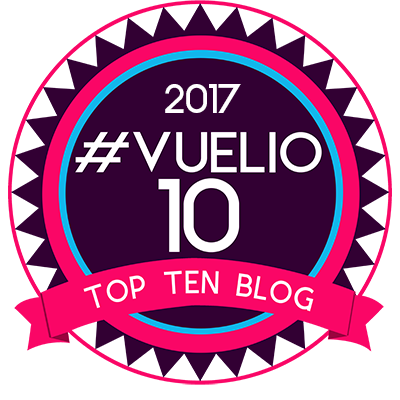 Does anyone like the new blogger? Not me. Among many other gripes like not being able to resize your photos to suit yourself, the way it brings you back to a big menu page when you want to do anything and loads more, I have just realised since it changed I haven't put labels on my posts. Way back since October 2012. I might go back to over it and correct this, but I might not. Seems like a ballache. Before they were handily placed below your new post, so you couldn't miss them. Now they are tucked away on the right hand side, so you forget. Or I did. Can't say I noticed though. Until today. Their fault though. And the scheduler for posting only works when it feels like it. I went to the London Drinker Beer Festival Trade Session in Camden Town Hall last week. I haven't been to it in many years (over 20)and nothing much seemed to have changed. The hall is a typical square to oblong, local authority affair and it reminded me instantly of itself from memory, and the hall we used for years in Bury for the Bury Beer Festival, from bitter experience. Now speaking as a beer festival organiser of many years standing, there is little you can do with such a place other than stillage the beer around the sides and try and tart the place up a little to make it more appealing. 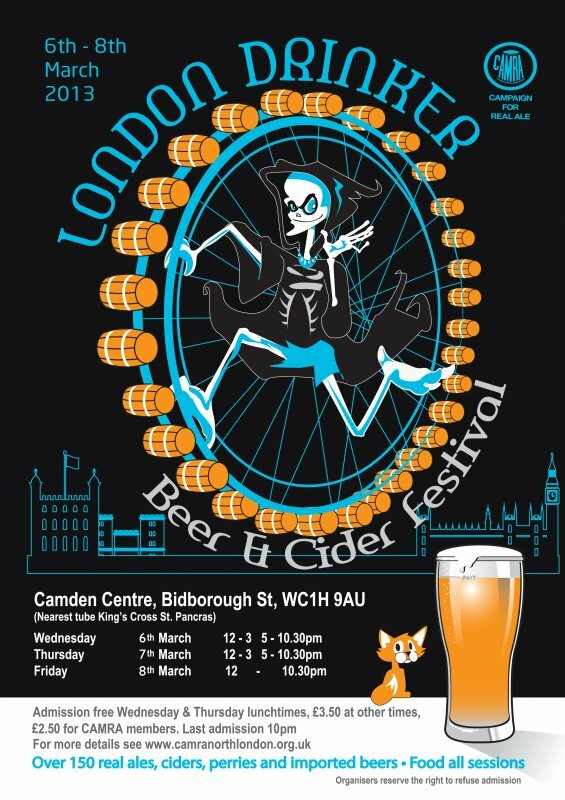 Price, location, availability and paucity of venues tend to dictate where beer festivals are held, not as some contest, a lack of imagination of behalf of the organisers, CAMRA or otherwise. My main aim in attending here was to catch up on the new London brewers and this was the stated theme of the trade session, where a number of sponsored London beers were offered. I had my first tastes of quite a few breweries and as you might imagine, they were a bit of a mixed bag. So, a quick rundown: Portobello American Pale had decent hopping, little nose, but didn't hit any high spots. Crate IPA was underwhelming in body and hadn't conditioned properly. London Fields Brewing High Rise was good, with a nice mix of malt and hops. Clarence and Frederick's Golden Ale was a very drinkable beer, with decent bitterness and excellent condition. Sadly their IPA was a dumper, though my very brief notes don't say why. Windsor and Eton Tree Top impressed with its dark bitterness and coal dust finish, while Botanist Queen Charlotte was clean, herbal, slightly sweet, but likeable. Pretty much as you'd expect really. Some good, some not so good, but no stunners unfortunately. Yes a typical CAMRA Beer Festival, but none the worse for that. The staff were cheerful and willing, the beers were as good as can be expected in this less than perfect venue and the trade session worked for me as a beer writer, in that I have started to catch up on some new London breweries. More research required though, as you can't really have more than an impression on a one off tasting. I left as the public were starting to be admitted. There was a large queue outside. Five new breweries for me. I'm almost a ticker! This isn't a rant about the cost of that lovely stuff, but a little anecdote about comparative costs. Now it is rare, for me at least, to see the same beer on cask and keg in the same pub. 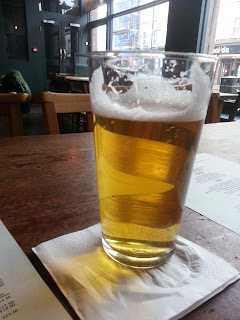 Thus it was on my return home to Manchester after a very good trip, that I nipped into the Euston Tap for a last London pint. Now I like the ET for many reasons and I'll mention them elsewhere. I ordered a Summer Wine Oregon on cask. I love their beers. It was superb and was presented in spot on condition and at the correct temperature, despite I am sure, me being the first to try it that day. It was a very reasonable £3.50 a pint for a 5.5% beer. It was so good that I immediately wished I had ordered a pint of it. Perusing the beer list as I waited for my train, I noticed what appeared to be the same beer on keg. Same name, same strength. Price? £5 a pint. So there you have it. The cost of having your beer in keg is an extra £1.50 a pint in this very fairly priced establishment. Possibly not typical, as others aren't so decent in their pricing, but maybe the margin of difference remains? I didn't try it. Why would I bother paying a premium for such a beer, when I already had a perfect beer for less? I ordered another swift half and went off for my train. Now I am sure that someone will tell me Summer Wine Oregon isn't really cask conditioned etc. etc. I don't care. It was superb and not freezing and gassy. Before I went off to London for a break, I asked the landlord of the Baum, Simon, how winning CAMRA National Pub of the Year had affected business. A red faced regular butted in "It's ruined the place on Friday and Saturdays - it's full of young local people looking for alcopops". It seems that a piece (which I haven't seen, but if it is the same as this, fairly harmless I'd have thought)in the Rochdale Observer, has attracted much attention from local drinkers, who have subsequently come in for a look. Good news you'd have thought, but it seems these aren't, shall we say, the usual discerning customer the Baum is used to. The are looking for Fosters and Blue WKD, cheap lager by the bottle, lurid drinks enhanced by caffeine and loud thrumming music. The Baum doesn't offer any of these. Now as someone whose own local has been from time to time, almost taken over by outsiders, I can see where the regular is coming from. You get used to your pub being a certain way and with the same faces and enjoy the steady familiarity of place and people. It is why you come in the first place. You feel ill at ease when that appears to be challenged. You unconsciously adopt a kind of proprietorial sense of "mine". Simon was much calmer though. He doesn't sell the kind of drinks his new temporary customers want. He feels it will be a short term phenomenon as folks revert to places that sell what they like, but they've been for a look and as long as they behave, why not? The daytime business though has brought many more of the usual Baum types from far and wide as evidenced by his new visitor's book. It will all settle down and he is right; nobody continually visits a pub where what it sells and the type of company therein isn't what they are comfortable with. The Blue WKD mob will pass and hopefully the honour of being National Pub of the Year will bring good new business of a kind that is in keeping with the pub and its regulars. I am sure it will. Nonetheless an interesting and unexpected development. All pubs tend to get a sudden influx for various reasons from time to time, but it almost always settles down. It is sometimes a mystery where these folks come from. Or why. Less so in this case. My adopted home town Middleton is colloquially known as "Miggy". 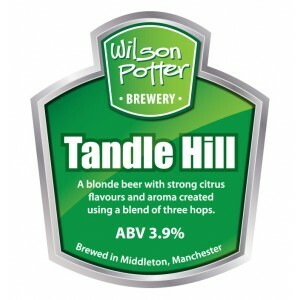 Among other things it boasts two breweries - JW Lees, a large, fairly well known concern with 170 odd pubs - and new kid on the block, Wilson Potter with no pubs. I have the honour of being CAMRA's Brewery Liaison Officer for both. 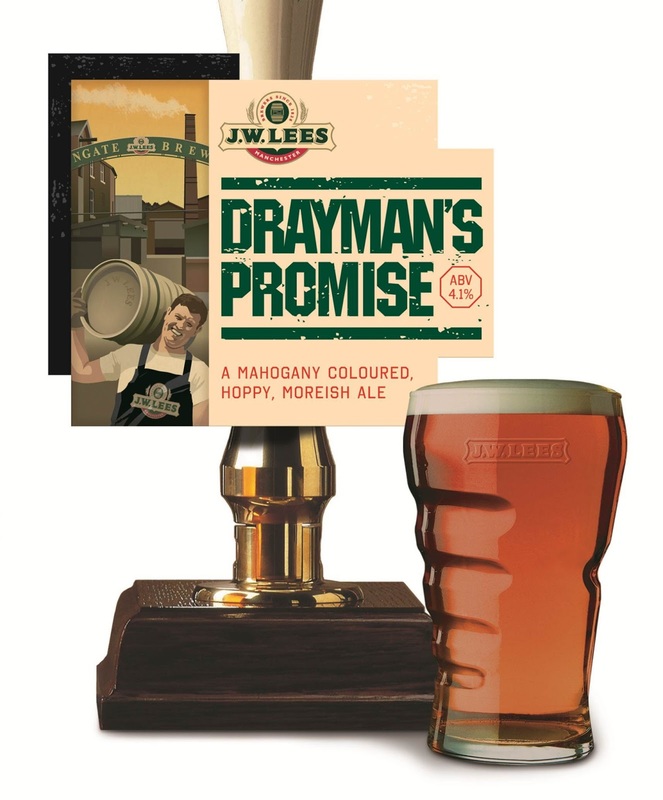 Last week I was invited to Lees to taste the new seasonal beer Drayman's Promise, described as " a rich mahogany ale. 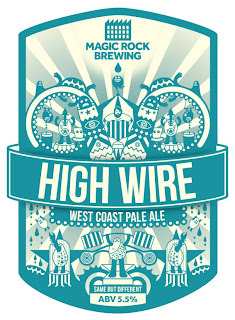 The aroma delivers a pocket of hops with deep spice and citrus notes. To taste,expect the refreshing qualities of a great bitter with a swell of hops on top." The brewer, Michael Lees-Jones described it to me. 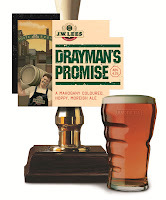 It is brewed using solely First Gold hops and has a touch of chocolate malt added to the grist which gives it colour and a touch of richness in the finish. It is late hopped to give a hoppy, spicy finish. It was an enjoyable beer at the brewery, but Michael felt that the late hopping had not shown through as much as he'd hoped and he'll up the hopping for the next brew. More power to his elbow on that one. Today, being an even handed sort of chap, I'm off to visit the good folks at Wilson Potter. It is a classic micro brewery on a small industrial estate and is probably the spickest and spannest brewery you'll ever come across. Cleanliness is an obsession there and that's no bad thing. The beer isn't at all bad either and here there is no doubt that humulus lupulus is in the beer. 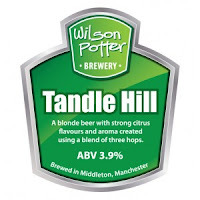 They brew a great range of mainly hop forward beers and I'm looking forward to my favourite "Tandle Hill". I'll tell you a bit more about them and how I got on in a blog post next week. Despite the obsession with exotic beers from far away, it is satisfying to support local breweries and I was pleased to read today, that in a declining market, local beer increased its sales by 6.8% last year. I like to think I do my bit in helping that total along. So that's Miggy. Two breweries and me. What more does a town need?